Lena Haloway is content in her safe, government-managed society. She feels (mostly) relaxed about the future in which her husband and career will be decided, and looks forward to turning 18, when she’ll be cured of deliria, a.k.a. love. She tries not to think about her mother’s suicide (her last words to Lena were a forbidden “I love you”) or the supposed “Invalid” community made up of the uncured just beyond her Portland, Maine, border. There’s no real point—she believes her government knows how to best protect its people, and should do so at any cost. But 95 days before her cure, Lena meets Alex, a confident and mysterious young man who makes her heart flutter and her skin turn red-hot. As their romance blossoms, Lena begins to doubt the intentions of those in power, and fears that her world will turn gray should she submit to the procedure. In this powerful and beautifully written novel, Lauren Oliver, the bestselling author of Before I Fall, throws readers into a tightly controlled society where options don’t exist, and shows not only the lengths one will go for a chance at freedom, but also the true meaning of sacrifice. 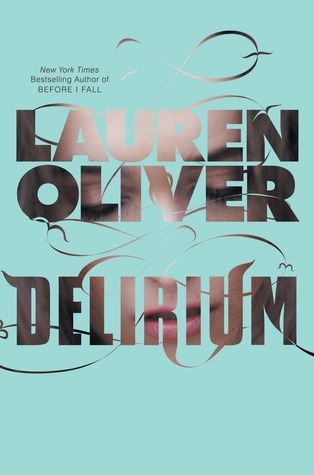 After hearing Andria and the entire book blogger world rave about Delirium nonstop, I decided to read it. I can't even express to you how glad I am that I did! 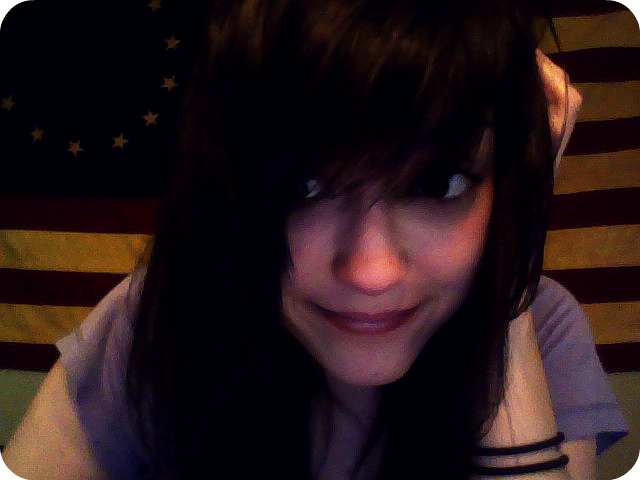 Well, I can't give you the full extent of how much I loved it, but I can at least give you a snippet. Delirium sucked me in the moment I opened it up. And I know I've probably have said that about a number of books, but it's true. Either I've been reading some really good books here lately or I am just easily intrigued. Anyway, I must say that Lauren Oliver is a genius. All of the little intricate details she put into the beautiful pages of this book was incredible. Every page was filled with such an amazing story, it blew me away. I loved how Lauren Oliver has a way of writing that is almost poetic. Everything just flowed so wonderfully, the characters, the story and all of the little things. I think one of the reasons I loved Delirium so much is because it was so realistic. The entire time I was reading it I could just think about how the world might end up being like that. I mean, the cure for amor deliria nervosa wasn't that out there. The whole concept of the book was just so real. It's not like I would really like the cure to exist or anything, it was just so crazy reading that and thinking about how it could possibly happen in the future if anyone was insane enough to actually make it happen. It also made me rethink the word 'love'. How easily it is used. How people say it when they don't truly mean it. And how hard people fight for it because it is so important in their life. I have been thinking about that word for a few days now, in a lot of different ways. It definitely adds to the greatness of a book if it makes me think about something like that! Oh, I'm starting to rant. One of the many things I loved about the character development was how much Lena grew. In the beginning she was so scared of everything around her and of getting in serious trouble just by using the word 'love'. By the end of the book she was willing to do anything and everything for the freedom of love. Delirium is definitely a book I will never forget, I absolutely loved it. I loved this review... Should I read it now??? Not only does the book sound fantastic, but the cover is so original! It looks very classy, not like some of the covers you see with big gaudy text. It takes the typical girl-picture cover to an entirely new level. Great review! I appreciate that you talked about the writing style, as well as the story. Thanks for sharing your opinion! I completely agree w/u on the writing style and level by Lauren Oliver!= UNBELIEVABLE!! This book was so bizarre for me! I hated it in the beginning b/c I hated the main character, but the more I talk about it with others the more I realize that as she grew and became more rebellious I began to like her which means u r totally right...her growth is amazing! This book would make an amazing book club book!! SOO many things to talk about and dig out of it! PS-fun IMM this week of bookshelves!